Russ Klingaman helps professionals and members of the business, insurance, and aviation communities effectively leverage business opportunities, resolve disputes, reduce risks and find practical, effective solutions to legal challenges. Mr. Klingaman's practice is focused in the areas of aviation-related transactions and litigation; and protecting intellectual property — including trade secrets, copyrights, trademarks, and patents. He has handled many high-profile cases involving catastrophic personal injuries, major property damage, and very large business losses. Mr. Klingaman has successfully represented the interests of a wide range of individuals, such as architects, doctors, engineers, farmers, hospitals, inventors, lawyers, pharmacists, pilots and veterinarians. Businesses he has represented include airlines, banks, construction companies, flight schools, health care providers, insurance companies, manufacturing firms, restaurants, retailers and software developers. Aviation. 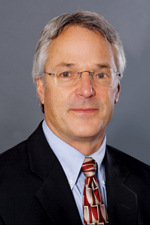 As a licensed pilot, aircraft owner, adjunct professor of aviation law, and past president of the Lawyer-Pilots Bar Association, Mr. Klingaman has unique insights into aviation-related legal matters, including those involving the fast-changing legal landscape concerning unmanned aerial systems (UAS or "drones"). Mr. Klingaman helps clients with matters involving aviation accidents. He also helps clients deal with Federal Aviation Administration regulatory compliance and enforcement actions. Intellectual Property. Mr. Klingaman has a robust practice helping businesses and individuals protect their intellectual property. This includes transactions and litigation. The transactional work encompasses licensing, assignments, nondisclosure agreements, etc. Litigation usually involves prosecuting or defending claims for misappropriation, infringement, breach of contract, unfair competition, etc. High-Profile Personal Injuries, Property Damage, and Business Losses. Mr. Klingaman has handled many cases involving claims for millions of dollars in damages for either catastrophic personal injuries or huge business/property losses claims. Appellate Litigation. Mr. Klingaman has handled numerous appeals and has made oral arguments to the U.S. Courts of Appeals for the Seventh and Ninth Circuits, and the Wisconsin Supreme Court. Mr. Klingaman joined Hinshaw & Culbertson LLP in July 1991. Mr. Klingaman is an adjunct professor at the Marquette University Law school, where he teaches Aviation Law. Business Litigation (Inverse Condemnation): Successful motion for preliminary injunction for our client, a national bank. We commenced the lawsuit to prevent the defendant from wrongfully evicting our client from its property. Federal Court for the Western District of Wisconsin, Case 17-CV-00752 (October 2017). Aviation (Airplane Crash): Winning summary judgment for our client, an aircraft maintenance company. We defeated claims of negligent aircraft maintenance arising out of an aircraft crash with serious physical injuries following an in-flight engine failure. Federal Court for the Eastern District of Wisconsin, Case 15-CV-01424 (January 2017). Intellectual Property (Trademarks): Successful permanent injunction and judgment for our client, a sausage maker. We commenced the lawsuit for defendant's infringement of our client's trademarks. Federal Court for the Eastern District, Case 15-CV-869 (November 2015). Aviation (Airplane Crash): Winning summary judgment for our client, an air ambulance operator. We defeated negligence claims arising out of a crash due to fuel exhaustion with multiple fatalities. Vilas County Circuit Court, Case 13-CV-199 (July 2015). Business Litigation (Computer Software): Winning summary judgment for our client, a software company. We successfully asserted claims against the defendants for unpaid invoices, and defended counterclaims for alleged software defects. Federal Court for the Western District of Wisconsin, Case 13-CV-760 (May 2015). Aviation (Airline Passenger Accident): Winning appeal for our client, a major airline, following our winning summary judgment. We successfully defeated negligence claims for serious injuries resulting from an accident while exiting the client's aircraft. Wisconsin Court of Appeals and Milwaukee County Circuit Court, Case 10-CV-20086 (August 2013). Intellectual Property (Trade Secrets): Successful motion for preliminary injunction for our client, a pet supply retailer. We commenced the lawsuit claiming misappropriation of client's trade secrets by the defendants. Oneida County Circuit Court, Case 13-CV-007 (January 2013). Business Litigation (Class Action Food Labeling): Winning summary judgment for our client, a honey producer. We successfully defeated claims of false labeling on our client's honey jars. Federal Court for the Eastern District of Wisconsin, Case 12-CV-758 (January 2013). Aviation (Insurance Litigation): Winning summary judgment for our client, an aviation insurer. We successfully defeated coverage claims for a helicopter crash (wire strike). Kenosha County Circuit Court, Case 09-CV-1541 (March 2011). Aviation (Airplane Crash): Successful dismissal of claims against our client, a municipal airport. We defeated claims for negligence by airport personnel arising out of a fatal crash where the aircraft struck wires during a low flight over a river and the passenger died. Wood County Circuit Court, Case 07-CV-439 (September 2008). Aviation (Helicopter Crash): Winning summary judgment for our client, a helicopter manufacturer. We successfully defeated product defect claims arising out of a helicopter crash with multiple fatalities. Waukesha County Circuit Court, Case 04-CV-1692 (October 2006). Business Litigation (Legal Malpractice): Winning appeal for our client, an attorney, following our winning summary judgment. We defeated claims of legal malpractice involving multi-million dollar off-shore investments. Federal Court of Appeals for the Ninth Circuit and Federal Court for the District of Arizona, Case 02-CV-20110 (August 2005). Business Litigation (Housing Discrimination): Winning appeal for our client, a condominium association, following our winning summary judgment. We defeated housing discrimination claims based on alleged disability. Federal Court of Appeals for the Seventh Circuit and Federal Court for the Eastern District of Wisconsin, Case 01-CV-836 (March 2004). Aviation (Airplane Crash): Winning summary judgment for our client, a municipal airport. We defeated claims of negligence by airport personnel arising out of ultralight crash with severe personal injuries. Sheboygan County Circuit Court, Case 02-CV-494 (October 2003). Intellectual Property (Trade Secrets): Successful motion for preliminary injunction for our client, a staffing agency. We commenced the lawsuit claiming misappropriation of our client's trade secrets by the defendants. Milwaukee County Circuit Court, Case 03-CV-5343 (July 2003). Intellectual Property (Trade Secrets): Successful motion for preliminary injunction for our client, a captioning service. We commenced the lawsuit claiming misappropriation of the client's trade secrets by the defendant. Brown County Circuit Court, Case 03-CV-671 (July 2003). Business Litigation (Fatal Food Poisoning): Winning appeal for our client, a restaurant franchisor, reversing a summary judgment granted to the co-defendant, the company that sold the contaminated meat. We defeated claims from the plaintiffs and successfully prosecuted cross claims against the meat producer, in this food poisoning case involving wrongful death. Wisconsin Court of Appeals and Milwaukee County Circuit Court, Case 00-CV-8793 (May 2003). Aviation (Insurance Litigation): Winning appeal for our client, an aviation insurer, following our winning summary judgment. We defeated coverage claims arising out of a pilot error during takeoff resulting in multiple fatalities. Wisconsin Court of Appeals and Chippewa County Circuit Court, Case 01-CV-02 (June 2002). Intellectual Property (Trademarks): Successful motion for permanent injunction and default judgment for our client, a motorcycle manufacturer. We commenced the lawsuit claiming defendants infringed on our client's trademarks. Federal Court for the Eastern District of Wisconsin, Case 00-CV-804 (August 2000). Product Liability (Metal Forming Equipment): Successful motion to compel discovery for our client, a metal products manufacturer. We successfully obtained an order compelling the plaintiff to sign medical authorization records in this products liability lawsuit involving serious personal injuries. Federal Court for the Eastern District of Wisconsin Case 97-CV-375 (August 2000). Business Litigation (ERISA Preemption): Winning summary judgment for our client, a health care provider. We defeated plaintiff’s claims for medical benefits and successfully asserted the federal preemption defense. Milwaukee County Circuit Court, Case 98-CV-7581 (July 2000). Aviation (Airline Passenger Accident): Winning summary judgment for our client, a regional airline. We defeated negligence claims arising out of accident while boarding the client's aircraft. Outagamie County Circuit Court, Case 98-CV-1003 (March 2000). Product Liability (Aircraft Wing): Winning summary judgment for our client, an aircraft manufacturer. We defeated product defects claims involving our client's wing assembly. Federal Court for the Eastern District of Wisconsin, Case 96-CV-1416 (March 1999). Intellectual Property (Copyrights): Winning summary judgement for our client, an architect. We defeated claims for copyright infringement involving architectural works. Federal Court for the Eastern District of Wisconsin, Case 95-CV-550 (March 1998). Product Liability (Mineral Oil): Winning appeal for our client, a petroleum refiner, following our winning jury verdict. We defeated claims for breach of warranty and contamination of food products allegedly caused by our client’s petroleum product. Federal Court of Appeals for the Seventh Circuit and Federal Court for the Western District of Wisconsin, Case 93-CV-81 (February 1995). Business Litigation (Computer Software): Winning jury trial and post-trial motions for our client, a software company. We defeated claims of breach of contract for selling defective software. District Court for the Eastern District of Wisconsin, Case 89-CV-342 (January 1993). "The New FAA Part 107 for Unmanned Aircraft…Less Protection for Airports Than Before," Midwest Flyer Magazine, August/September 2016. "Ideas for Airports Dealing With Nearby Model Drone/UAS Operations," Wisconsin Airport Management Association Newsletter, May 2016. "Laws Governing Unmanned Aircraft Systems: Are They Clear & Consistent?," Midwest Flyer Magazine, April/May 2016. "New FAA Recreational UAS/Drone Registration Program: Better Than Nothing?," Midwest Flyer Magazine, February/March 2016. "Drone Law: Why All FAA Certificate Holders Should Be Aware of the NTSB Pirker Decision," Midwest Flyer Magazine, August/September 2015. "Hammondsport: One of the Most Important Places in the History of Aviation" and "President's Message," Lawyer-Pilots Bar Association Journal, Vol. XXXVII, No. 2, Summer 2015. "How the FAA Deals With Pilots Who Consume Alcohol, and Why Owning a Breathalyzer Might Be a Good Idea," Midwest Flyer Magazine, August/September 2014. "The Need for an Aircraft Lien Recording Law In Wisconsin," Midwest Flyer Magazine, June/July 2014. “The Federal Aviation Administration and Pilots Who Drink Alcohol: Dealing With Normal Use, Abuse and Addiction,” Lawyer-Pilots Bar Association Journal, Vol. XXXII, No. 1, Spring 2010. “Indemnity Clauses and Insured Contracts: Expanding Coverage Beyond the Standard Aviation Insurance Policy,” Lawyer-Pilots Bar Association Journal, Spring 2008. "The Restatement (Third) of Torts: Products Liability Claims and Nonsense in Wisconsin," CTCW Newsletter, Vol. X, No. 4, Fall 1995. "Predatory Pricing and Other Exclusionary Conduct in the Airline Industry: Is Antitrust Law the Solution to Controlling Anti-competitive Strategic Behavior?" DePaul Business Law Journal, Spring 1992. "The European Community and Liability for Cleaning up Abandoned Hazardous Waste Sites: Should the EC Follow the United States' Example?" Wisconsin International Law Journal, April 1991. "Recreational Drones: Do Homeowners’ Insurance Policies Provide Coverage?," Claims Journal, August 4, 2015. "Liability Issues Related to Breast Cancer," Cancer of the Breast, 5th edition, 2002. "Will Architectural Work Law Have a Chilling Effect?," The National Law Journal, C18, February 2001. "Architectural Copyrights Recent Developments," Architectural Research Quarterly, Vol. 4, 2000. "Admissibility of Social Security and Workers’ Compensation Payments Associated With Prior Accidents," Federation of Insurance and Corporate Counsel Quarterly, Vol. 48, No. 2, Winter 1998. "Pretrial Conferences," Defense Counsel Training Manual, 2d edition, 1995. "Medical Malpractice Liability for Errors in Breast Cancer Diagnosis and Treatment," Cancer of the Breast, 4th edition, 1995.